On April 28th of 2015 I suffered a life changing back injury. I literally broke myself and sustained a 1.1 centimeter tear, disc extrusion where the nucleus of the disc leaked out onto my sciatic nerve causing radiculopathy of my left leg and damage at L4/L5. This injury didn’t just happen but was brought on via many years of training with a little help from a previous injury I attained in the USMC. I was unable to walk for roughly 3 weeks, I could not dress myself, put on my shoes, stand up to brush my teeth, go to the bathroom or shower without assistance from my wife. I felt the most agonizing physical pain I’ve ever experienced in my life. But…….little did I know I was about to face an even harder battle…..mentally I was a shell of myself and I had to find ‘me’ again. What I’m about to share with you is the inner turmoil I faced and how I rediscovered who I am. It was difficult for me to walk high with my shoulders back and my chin up with swagger and pride when I didn’t feel that way anymore. During my injury I felt like a shell of myself. And acting any other way would be smoke and mirrors, I’d be masking my true feelings. 27 years ago I was on medication for my feelings (due to a horrible childhood), now I had to face reality as a man and not medicate. I don’t believe in medication or drinking to hide from the reality. I was struggling more mentally and emotionally than I was physically. I looked at myself and despised the person looking back at me! It reminds me of so many memories of torment, beatings, ridicule, physical and mental abuse that I went through. I felt I couldn’t battle my demons because I wasn’t able to train! I had to lay there on the floor, motionless with no feeling in my left leg and take it. I know this is a different time and age. But, when you are tormented as a kid and told how ugly you are and then beaten for the way you look, well you start to believe it. Then I found the iron and started building myself up to the point that physically I had the ability to not let anyone hurt me anymore…..then all of a sudden that is stripped away and I looked at myself as I did so many years ago. During my injury I felt like I can get hurt all over again just like when I was young. When I looked at myself I saw that same 13 year old, big eared, big headed, pencil necked kid, looking back at me. My stomach was sunk in, my deltoids were narrow, I had hang gliders for ears and a deflated chest. I basically looked like a good advertisement for Chicken wings. All the armor I built up to protect myself was being stripped away and there was nothing I could do about it. I’m scared now! I can’t be who I was, I can’t fight, I can’t run. I felt like, unless I have a gun I’m a dead man. I tried to tell myself that through crisis we can either be the victim or learn from the crisis and become the victor. I tried to remember that this is a chance to grow, to learn, to overcome and become stronger. The heart of a lion.. It had been such a challenge to try and remember those three things. Through training I was able to handle the everyday torment of my childhood and dealing with the crappy, entitled attitude of many that plague our society. The me that steps foot in the gym is a man on a mission. In the gym I went through trials of success and constant failure. But I never quit. Without the gym I felt isolated, abandoned and left behind. I believe that my trials and tribulations faced in the gym were comparable to everyday life struggles. If I could train my tail off then I would be better suited to deal with all of life’s little roadblocks. Now due to the severity of my life changing injury all of that was taken away from me. The feeling of despondency was brought on more by depression without the endorphins of the blood flow and the high I get from training. I could not self-medicate to combat my feelings, I had to face them head on. Scars from 27 years ago resurfaced. I had no choice but to withdraw from the gym. Finally, I was able to start using a walker and return to training my clients. I felt isolated and abandoned as my clients were killing it, and getting results, and here I am broken and can’t do what I love. I felt I lost my place. I was angry and depressed. I would resent all the people on the street who were out of shape but that are walking better than me with very capable bodies yet choose to skate through life and go to waste. Meanwhile I wanted to use mine so badly but it wouldn’t function properly. Then I started seeing the light at the end of the tunnel, I was healing and feeling better. I accepted my limitations, I knew what I could and couldn’t do. I rediscovered my body and built it back up again. I will be the best at whatever type of workout I can do because that’s who I am, that will never change. I am not done, there is still more to do! That first morning in the gym was a euphoric moment for me. I sat on the bench and looked at my Strongman wall and cried relentlessly for what seemed like an hour. I was able to face the wall of pictures displaying various feats of strength I had accomplished over the years, and I could hold my head high knowing I was at peace to start my new strength journey. How I rebuilt ‘The Machine’. Barbell Neck bench press with feet on the bench for 5 x 25 reps.
Vince Gironda cross legged Crunch on the bench 5 x 8 reps.
Pull-ups max reps and sets until I reached 50 reps. Lying single side lateral raise on a bench 6 x 12 reps. Lying on my back dumbbell curls 6 x 6 and dumbbell skull crusher 6 x 10. Neck Flex Neck Harness Front, Back and Side extensions for 1-3 rounds at 3:00 each. Due to my injury I was not able to train my neck in the same fashion as I used to. Thanks to Zach Elam and Thomas Hunt I was able to use the Neck Flex and felt no pain in my back. My neck was able to gain size and mobility back in a very short time. I did this three days per week for the first month, then I did the same workout five days per week for two more months. During this time, I started taking Size On Creatine by Gaspari and increased my calories (when I was hurt I had no appetite). My starting bodyweight on August 1st 2015 was 181.00 pounds. Goes to show that even at close to 42 years of age and with a limited training routine one can still make gains with a good work ethic and desire to succeed. Who would have thought that while twisting a Horseshoe open during a charity event that I would physically and mentally lose who I was. But through this crisis I was able to rise above, and rebuild, standing tall, knowing very well WHO I AM. To some I am ‘The Machine’, Professional Performing Strongman & motivational speaker. But to me…….I am Mike Bruce, I never quit even when all seemed dark. I saw the flickering of light at the end of the tunnel and the more I kept trying the brighter that light shone. If you never quit you will never be a failure. Assumption Is The Lowest Form Of Knowledge. They move forward in life and worry about building themselves. Leave the gossip and dram to all the Sally's. Long ago I was told by a man of wisdom to never give off the impression that you are doing something bad. If you never put yourself in that type of situation then you have less worries to be concerned about. I call this keeping my side of the street clean. In today's society of wimps, snowflakes and social media warriors the REAL MAN is being attacked more than ever. Society is trying to turn the alpha male into a shivering coward that is to stay in his parents house on the computer every waking hour filming videos of himself talking crap about other men. Look here gents, real men don't pay attention to what other men are doing in their live's. This type of wussiness used to be left to the lady gossip columns. 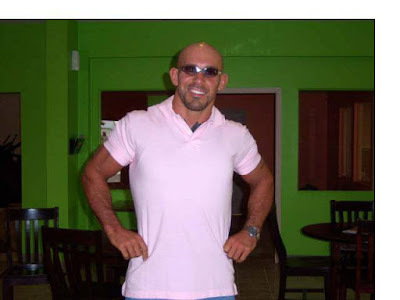 On whether this guy or that guy is natural or not. This guy blocked me from his account. So and so is using fake weights. These guys are taking SARMS. That person is photo shopping their pictures. I could keep going, but the fact that I even have to write about this dribble is making me want to puke. When did the real men decide to tuck their tail between their legs and succumb to the sally syndrome being thrown in our face by society? When did the real man stop being a man and standing up for himself for what he believes in? Why would a man have to know what another man is doing in his business if it has nothing to do with you? The last time I checked regarding manliness it doesn't stinking matter what a man does on his side of the street unless it is in some way affecting you personally. If it's not affecting your life personally what in the hell do you care? Have we become that much of a bunch of limp wristed sally's to concern ourselves with what another man is doing to his body? If a man across the street is shooting test in his backside or lifting fake weights I again ask you, who flipping cares? Are you that much of a wuss that you are intimidated and scared by a man that is building himself physically and not listening to all the politically correct snowflakes? Last I checked I thought men should be worried about what they're doing on their side of the street not worrying about the other guy on his side of the street. Real men worry about themselves, they put one foot in front of the other and move forward toward their goals. Worrying about whether Joe bodybuilder is lifting legit pounds or not should be no concern of yours. Real men focus on building their brand, they focus on how to be better than they were yesterday. There is many ways to do this, one way is to build ourselves daily physically. BUILD ourselves to our max potential. What does it matter if a guy chooses to do PED's, it's none of your business, it doesn't affect you, who cares! While you're sitting in your mom's basement loading videos of gossip to YOUTUBE in between binge watching NETFLIX and playing your video games that same gent is building his body to resemble a Greek God! Hiding in your mom's house is not how a man acts, more like you should change your name to Sally and dawn a skirt. That's a Sally Syndrome mentality. A real man's mentality is to build ourselves up spiritually, doesn't matter if you are a believer in Jesus, Buddha or if you're a Muslim being spiritually fed helps us to be better men. Real men build up our character because a personality can come and go. You can try and copy someone else's personality and all you'll be is a dumbed down version of that person. They are them, you are you, therefore you can't be them! Character is the true essence of a real man, a strongman. If you focus on building YOU then you become better. Real men always strive to build self, not to bring attention to ourselves but because we are unique. We all have our own strengths and weakness that are special to us. There is no one else like us, you are you and I am me. We all do one thing perfect that no one else can do and that is to be ourself. If you start trying to be someone else you are basically being a traitor to yourself because you are YOU! 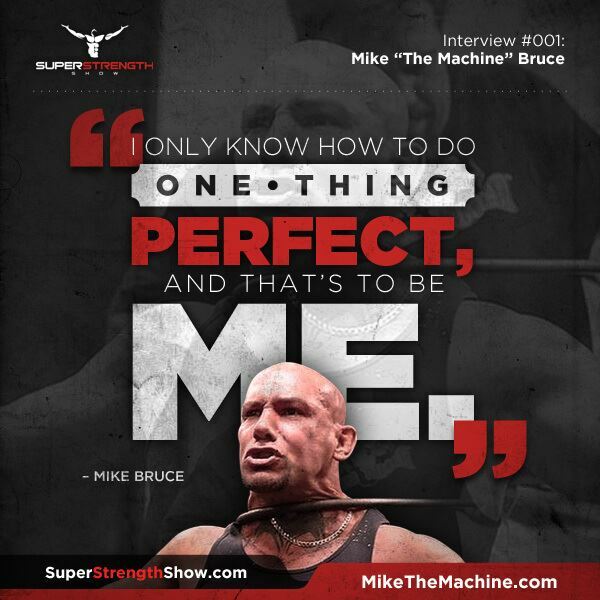 So you have the ability to be perfect in that regard because you do it better than anyone else. You can't be me, I can't be you so do YOU. All this nonsense about if this guy blocked me on YOUTUBE or this guy won't accept my friend request is all a bunch of crap! You sound like a bunch of teenage girls in high school. No man of substance would spout such dribble. Men should be too busy building themselves to better self than to worry about what's going on across the street. It is my belief that men should be men and one of the ways to do this is by keeping your side of the street clean. If you focus more on keeping your side of the street clean and working on yourself you won't have time to be worried about what the other guy is doing on his side of the street. His side of the street is his business, what he does in his house is his business, it's on him. Unless it affects you or your family in some way then it should be of no concern of your's. If he is doing something that is not legit or illegal he is only hurting himself and people will find out about it eventually. It doesn't matter because it has nothing to do with you. I try and keep my side of the street clean, I never give out the impression I am doing something evil. I'm very careful of who I associate with, who I hang out with and what I am doing. I am a married man so if I chose to hang out with three women on a Friday night at a bar guess what? That gives off the impression that I am doing something wrong because I'm with three chicks and my wife is no where to be found. Even if I am being 100% innocent it still gives off the impression that I am doing something I shouldn't be doing. Now, if you're a single gent and can pull three different ladies to accompany you out on a Friday night more power to you. Just not the way to go about it if you're a married man lol. If you happen to own a business like I do you should be worried about what you're doing inside your four walls. not what's going on in the business down the street or across town. Who cares what they're doing? Worry about what you're doing. Work on you, build YOU. If you worry too much about what everyone else is doing it is taking time away from your business. I've been in business going on 11 years, I didn't get here worrying about what the other gyms are doing within their walls. I focus on myself and take small steps daily to be better than I was yesterday. Keep your ears open, mouth shut and mind on the task at hand. 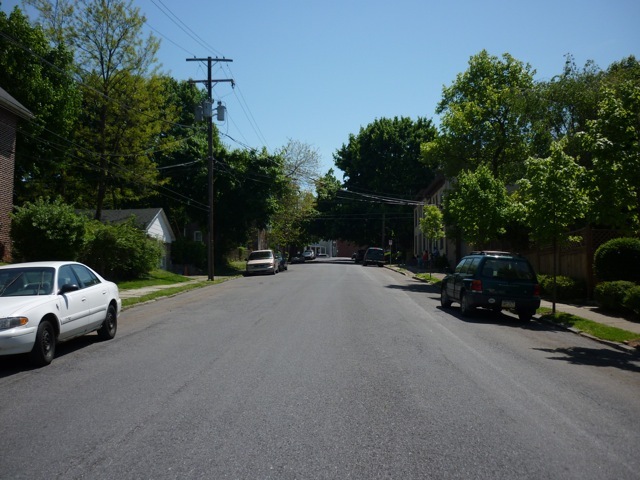 This ensures you are always on top of your business and that your street is always clean. It seems that the past two years one of the most popular yet controversial exercises has been The Rackpull also known as the Partial Pull or Lockout pull. This form of pull is basically the top end of The Deadlift or the finish of the exercise. 1,500 Pounds Rackpull set in 2007 Lakeland Florida at 202 pounds bodyweight. This movement has become one of the most ridiculed exercises since the barbell shoulder shrug, but is it really that bad? I think it has it's place but it is limited depending on how you perform it. The norm today is for guys to use this as an ego lift with hardly any range of motion at all. These same fella's then title themselves legends! Furthermore the way I was brought up a title or nickname was given to a person based off of some strength feat or athletic performance. I have never heard of a man giving himself a nickname lol. Regarding the "legend" moniker, good golly who in the heck are these guys? What makes a man think he is a legend? If I am seeing this correctly some of these guys move a certain weight a few inches and thus they think they are legends? Come on fella's, the only thing you are a legend of is in your own mind. To me a legend is a person that has done something so extraordinary that it blows the mind of the people that see it. Let me give you a little history lesson on my experience with The Rackpull. I started training with the lift back in 1997 during my amateur SUBMISSION WRESTLING days. The reason I did this was to move as much weight as possible in a short distance in hopes it would make me stronger in certain positions of wrestling. Keep in mind that I didn't have a trainer or anyone telling me if this was a good thing or not. I simply used my brain and figured things out for myself which is something that is truly lacking with today's young gents. My style of wrestling was very aggressive, always attacking, very heavy on the head looking to tie up and throw my opponent. I wanted my lower back to be as strong as possible so I began DEADLIFTING at the age of 22. The deadlift is one of, if not the best exercise for Overall Body Strength. Here is where I think The Rackpull comes into play or use. For me, it helped improve my ability to lockout my deadlift when doing max pulls. Usually if I could get the weight off the floor and to my knees I would have trouble finishing the top of the pull. My mentality was if I could set the pins in the power rack where I am weakest at and practice at this range then I would obviously get stronger. With the rackpull you can handle so much more weight than you can deadlift that you should be able to improve on the finish of the deadlift. Let's take 675 for example as my 1 rep max. I deadlift it up and start to have trouble when it reaches the top of my knees. I then go to the power rack and place the bar at the point of struggle. From here I start a program of 3 sets of 3 reps from this height. When I did this my strength went up quickly and I was able to handle much more weight from this position. This increase in strength from this position allowed me to then be able to pull 675 pounds for 2 reps.
*Yes I know, this is a Top End Deadlift not a regular conventional pull. I get it, no big deal, the haters can't take away from the fact that I am still standing straight up with that weight. In my opinion this style of lift will definitely improve your ability to finish the lockout portion of your deadlift. The reason why is because you can handle much heavier weight at this height than what you can lift off the floor. This heavier poundage when practiced regularly will then make your normal deadlift weight that much easier at the top end of the exercise. I enjoyed this lift so much that I started using it in my strength shows. 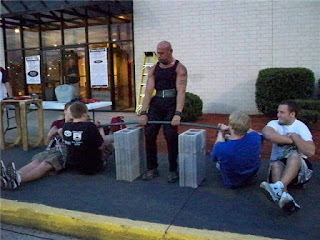 One way I would do it was to set up 8 inch blocks as the rack and then lift 1,000 pounds on stage. This footage below is from a show I did in Kentucky. The bar is higher than my normal pull but the lift was a success with the crowd and that was what I was going for. Performing the rack pull during my shows became an issue for many reasons but the main thing was that not every place I was at had access to that much weight. So, I came up with an idea of having a special bar made where I could lift four people totaling 1,000 pounds in place of the weights. This was a great way for me to still lift 1,000 pounds and not have to worry about finding 45 pound plates. Some say that the rackpull will add copious amounts of muscle to the traps and lats. I cannot say if this is true or not because I was not on a mass gain plan when I performed the lift. 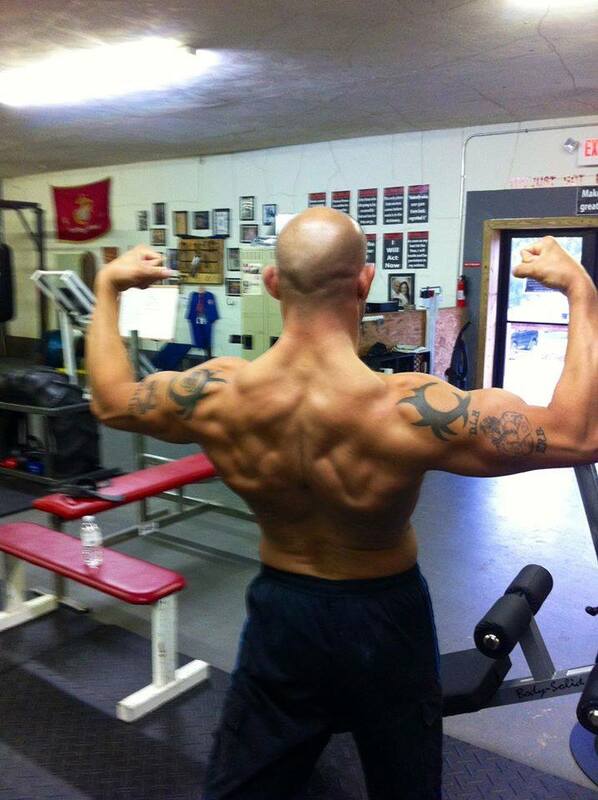 I was lean and shredded at a bodyweight of 202 pounds. I can only use myself as an example and my traps and back were always considered two of my better body parts. In theory it makes sense that the TRAPS, upper back and lats would grow due to the heavy load they are under. Handling that much more weight should spark new growth in those areas. Again I cannot give a definite answer to back this. Ultimately all that matters is what you want to do, if you want to pull from the top of your hip go ahead. If you want to pull from mid thigh, go for it. Maybe having your ego stroked by moving an insane amount weight is your thing then do it. The bottom line is no one actually gives a crap about what you do or who you are. The cold hard truth is that only a very select group of people actually care, the majority is going to poke fun at you and hate all over everything you do. I train to better myself for only me, I am out to impress no one. To some the fact I stood back up with 695 pounds at a bodyweight of 198 pounds may be impressive, while others are going to criticize the lift and me. It doesn't stinking matter because I know Who I Am, what I've done and where I am going. The main thing is to do you, do your thing and if it makes you happy then what more could you ask for. Real Men Pick Up After Themselves. Today I want to explain one of the traits of a Real Man that many are lacking. It's called picking up after yourself. Real men don't need to rely on their domestic partner to do their laundry, fold their clothes, make them dinner and pick up after them. It's not your partners job to come after work, walk in the door and step in a pile of your dirty drawers and a sink full of dishes. Come on men, that's what we have laundry baskets for. Your nasty skivvies go in the basket, not on the bedroom floor, nor the bathroom floor or any other floor for that matter. Have some friggin decency in yourself and respect for your partner. Now if you are blessed enough to have a partner that does your laundry then be a man, fold that mess up and hang the up the garments that need to be hung. Have some discipline in yourself. Let me explain something to you, the way you are in private is 9 out of 10 times the way you're going to act in public. So, if you're nasty and unset acting like a pig at home than people are likely to see that in you out in public. You don't want that, aReal Man doesn't look disheveled and unkempt. The real man does his best to master his tongue, control his bearing, doesn't talk too much and always looks squared away whether in a suit or sweats. This type of mastery of self is evident always. I have never understood how a man can leave a sink full of dishes, it boggles my mind. Even as a kid I was disciplined enough to clean my dishes after I ate. Let's say you have a plate, a fork and a glass. Good golly, three dang pieces. Simply put them in the sink, then put some dish soap on a small wet towel and now srub them! 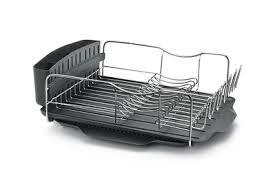 Rinse with hot water, put in the dish rack and go on about your day. Tip number two, if you use a knife, fork or spoon for peanut butter simply grab a paper towel and wipe off the remaining residue on the silverware. Then put it in the sink and rinse. Makes it even easier to clean. Your partner is supposed to be your companion to go through life with, she is not your maid. Gent's do you honestly think a successful fine looking lady is going to want to "dirty wrestle" with you after walking through your front door of filth? Seriously, a woman is not going to want to be with a SUPPOSED MAN that is a nasty, sloppy mess living in a home of trash. If you think otherwise you are out of your mind and a damn loon. Living like that is going to attract a certain type of person and probably not a good one. You've got to take responsibility for yourself and that starts by picking up after yourself. 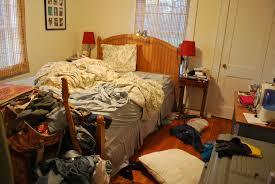 One of the easiest ways to do this is to make your bed in the morning. I always made my bed first thing in the morning even as a teenager. It gets the day started right, make the bed, drink some water, go train, shower, shave and bam! I train a lot of women in my gym and one of the biggest complaints I hear from them besides picking up their partners beer bottles, cups, plates and socks is the left over hair these men leave from shaving. 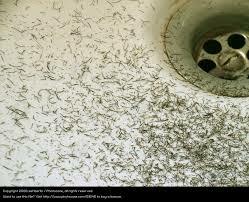 There are men out there that shave and leave the hair all in and around the sink not even bothering to rinse it out?? What is wrong with men these days, where have you all GONE? Sounds like we real men have all been replaced by a bunch of spoiled brats living in pig pens. When did your significant other become your mommy? Am I missing something? Men, have some decency and respect for your partner, pick up after yourself, be a disciplined, hard charging, lady loving, testosterone fueled, alpha male. Take responsibility for yourself and own your days. You have too much pride thus causing you to be very cocky and arrogant. This prideful nature causes you to have no friends and to be very lonely. This type of pride not only causes you loneliness but can also cause you troubles in your life. The other side of the coin is the pride that we need, being proud of who we are such as in our looks, how we act, in wha we do. This is a pride that shows our character. Not wearing our attitude on our sleeve, being humble yet we know where we are going. Moving forward in life with a purpose. I want to share a story of an experience I recently had that will better explain when pride is needed but sometimes lost. Recently I had the pleasure of speaking at our local battered women's shelter. This home is for women that either are in an abusive relationship or had been in an abusive relationship. This home provides care in a safe place for these ladies that have no where else to go. Shelter is given along with food, clothing and all necessities needed. During my visit there I was very disturbed because I can relate to many of these ladies situations. My mother was battered and abused by my biological father, as a young boy I witnessed many of the beatings she took by the scum I was supposed to call dad. Unfortunately one of the ladies that I met had fresh marks all over her body including her face. She looked like she had been in a brawl and lost, it was very sad to see. All of the ladies there that day had the same look in their eyes, a look of emptiness. The sorrow, pain and look of loss in their faces was terrible to see. There was no pride to be found anywhere, all that was there was nothing. It was like these ladies were ghosts, where once might have stood a strong woman was now nothing but a broken soul. These ladies didn't even know who they are anymore, they are a shell of what once was. I was proud to be there to do my part to try and instill in these ladies some life lessons and physical knowledge to get them back up on their feet again and living life. I have never understood what drives a "supposed" man to batter his significant other. I don't get it, we all have arguments with our spouse, domestic partner etc... but to knuckle up and throw down on them is just not in my character. In my eyes these guys are nothing but a bunch wimps that prey on the weak. That's not a man, it's a COWARD. For these women pride is needed. They are broken mentally, physically and feel they are worthless. The life in their eyes was gone, all I saw was tears starting to build and trickle through their lashes. It is terrible when you are that far gone that you have no clue what your purpose is anymore to the point that you just give up. It's horrible that you are so scarred and terrified that you don't even want to take care of yourself anymore, you stop caring about yourself, your looks and just plain you tap out. The opposite of this is the woman that hides behind her make up, she cakes this crap on to the point it looks like a mask. She does this to try and hide the scars that she wears on her face. These scars don't have to be of the physical kind but more the lines on her face that show worry, stress, sadness. This covering of the face is a way of masking the years of torment she has gone through. Make up to cover the large, swollen dark circles that lie beneath her eyes. These ladies try and conceal their life struggles behind the make up. They try and fake that they are okay but in reality they are not. These poop ladies are simply "masking" the truth of their situation. Let's say you go to a furniture store with very well known brand name products. You know that you will be paying a large sum of money for the brand name piece of furniture. You don't mind because you know this certain brand name has been around for a long time and is well respected for the quality they produce. The reputation of the brand makes the purchase well worth it. Now let's say you go to a dollar store and you go to buy a piece of furniture well that piece is going to look all glossed up, spit shined and gleaming under the store lights lol. It's going to look like it's worth more than it is, right? That is the definition of masking. At one time these poor ladies were once lively, radiant, bubbly gorgeous women that now are nothing more than a shell of who they were. My comparison to the furniture is simply that you just don't know what a person has or is going through based off what they are wearing. A woman that has make up caked on their face an inch thick, looking down at her feet and speaking softly is a sign something is troubling her. Many times this masking is her way of trying to cover the "scarring" she is battling inside of herself. You can tell a lot about a person from their eyes and the mannerism's of their face. It was very sad to see. We need to take control of ourselves, keep the pride in check and under control, eat as much humility as you can while striving to be a true gentleman. The more humility you eat the less chance you have of being conceited. You need to be able to look in the mirror and like the person looking back at you again. We do that by not keep digging the hole we are in, we simply stop digging and move on. Learn to love that person looking back at you in the mirror, take a step back, give yourself a reset to move forward again. Rise up, Stand up and Own your day! I believe we should all have a code that we live by. We are not perfect and only human so we make mistakes. I choose to try and learn from the mistakes I do make and never live in the past. Having a code has helped me remain disciplined and consistent in all my walk of life. My goal is to be a good man, keep my side of the street clean and to be left alone. You do you and I'll do me. But it all starts with what you BELIEVE in. Your belief system is where your code comes from. This is my Code and how I choose to live my life. Ever sine I was a teenager I was disciplined. I would wake up at 4:30am many times before the alarm was set to go off. I would use the bathroom, then make my bed right away. Next I would get dressed into my sweats and go for a run. My roadwork was done 3 days per week, sometimes four days. Getting up before dawn to do my conditioning work was not something I had to do rather something I chose to do. This discipline carried over to my wrestling career as I would often swim laps during our lunch period. I didn't have to as I was always on weight (171 pound class in high school) but I chose to so that i could put in extra work to give myself the best chance of victory. Of course there is much more that goes into being a good wrestler such as the mental strength of the person. This discipline has stayed with me all my life. Being an entrepreneur and owning my own gym requires me to show up and train my clients. It is a choice, a mindset to get out of bed and go to work. Owning your own business means you don't have to answer to anyone but yourself. If one chooses to be a lazy bum and cancel on your clients that's your choice but the business won't last I can promise you. I wake up daily at 4:30 am and I own the day. My days starts off with making the bed, putting my shoes on, taking my dogs for a walk, reflect on my life by giving thanks for all I have, getting my mind right for the workout ahead. Come home, train, shower, eat, hit the road to the gym. My job requires me to tell people what to do, what I need them to do and how I want them to do it with specific instructions. I don't whisper and talk softly like a limp wristed Sally rather I speak affirmatively and walk with a purpose. My walk is a product of the United States Marine Corps, a walk or rather swagger with head held high always looking forward, shoulders back and tummy tight. I'm walking towards my future. My future is focused on my brand, my KBOX Gym. I am constantly working on my business and want it to continue to grow. Owning your own business gives you the ability to make your own money without an employer holding your leash, I mean holding your hand. The more you grow as a person, the more your business grows and the more success you have the less envious you become of others. I am not the jealous type, I just don't care about what another person is doing on their side of the street, I only care about keeping my side of the street clean. See, jealousy is caused by a hater wanting what you have but they can't have it. Haters are weak, they try to test you to see if you're strong, to see if they can break you. This jealousy and hate is just a sign they are actually intimidated by you. Never be jealous, it clouds the brain and stops you from learning. The only reason you're jealous is because you want what you're jealous of. These haters are actually weak people that are the way they are, not the way we wish them to be. They likely have an average mindset which is boring and just go through life skating away being normal. Normal is boring to me, I can't relate to normal people so I ignore most people with this type of mindset and choose to hang around like minded individuals. I want you to remember this, it is easier to obtain something than it is to maintain something. Do one thing daily that gets you further towards your goal. Keep moving forward, it's harder to restart once you stop. Building your brand aka knowing Who You Are is where you learn. It's called the building phase, learning is repetition, do it over and over again until you understand it. Repetition is how we learn and the basics are what makes masters. Do the work each day, don't take off and skip because the more you walk the closer you will be at your goal. When you start to have success you will learn who your true FRIENDS are. Many people you thought were friends weren't really friends at all. These people are all about self, and success brings out envy. If these people hold you back in any way from your goal, cut them off and continue to move forward. If anyone brings a negative mindset to you that steals your energy, cut them off. Negative people are nothing but energy vampires. Put more energy into those people that enhance your life. Regarding the people that are different then you simply accept them for who they are not as you want them to be. The world is as it is, not as I wish it to be. You are you, they are them. Again, I stress have a Purpose and think lightly of yourself, be genuine, truthful, don't wear your attitude on your sleeve and be careful of the Company you keep. Make your own path by standing when others bow and bowing when others stand. Don't act following what society wants you to believe. Everything they do is wrong and everything they tell you is wrong. It is simply to demascluinize the Real Man and turn us into a bunch of dogs being led on a leash and controlled. My purpose in life is to be myself, to become myself fully, to be owned by no one, to do what I want, when I want and how I want all within the laws of the state of Kentucky. This thinking for myself equals freedom in my mind. Freedom to me is Self-Mastery, I rely on myself to produce happiness and bliss without the outside help of others and other things. Nothing is outside my control, everything I do has a reaction, so I take full responsibility for myself and my actions. You must be who you are not as the system tells you to be. Do your thing, break free, from society and the strongholds they are plaguing us with. Detach yourself from all of this junk so that you can be free. All the crap of today motivates me to bring my message to all the real men to rise up, stand against this Sally Syndrome and boycott society's cowardly plague that is trying to destroy the maximized man. Look there is no need to get all ticked off about things we cannot control. The world is as it is, not as we want it to be. I choose to not waste my time on stuff I can't control or fix. It hinders moving forward. We are all human and we make mistakes the main thing to do is to learn from the mistakes and move forward. Having regrets and worrying about the past gives power to your mistakes and is a surefire way to destroy yourself. Regret will make you physically weak and emotionally sick. Always have a plan of attack, a plan for a counter attack and a means of escape. Be prepared and figure out what is the worst that can happen and then act on it accordingly. Always learn, open your ears, shut your mouth, listen and be the top man in the room. This is how we become champions. Champions d more listening than talking, you never learn by running your mouth. Again, I cannot stress the importance of being selective in who you share company with. Some men are positive while others are negative jabroni's, these negative clowns can then pass on that crap to me. I don't want to bring that junk to my business or my home. I'm selective and encourage you to do the same. Be a Real Man not a feminized sally and always speak the truth. Be patient, everything takes time to build, you need to put in the time, keep moving forward with it and don't quit. Like I always say "If you never quit you'll never be a failure". For me a Code helps me keep a balanced life that is structured and happy. I live below my means, as little overhead as possible, no stress, quiet life. I keep my side of the street clean and don't bother anyone. I'm a Politically incorrect, free thinking, strong conservative, independent Christian. I am owned by no one, unlike people that are owned by political parties and certain denominations. No one owns me, no one tells me what to do or how to do it. There is no political party or denomination that owns me. I do what I want, when I want and how I want all within the legal ramifications of the law. Ultimately it comes down to you and knowing who you are and what you want in life. Nothing is out of your control, everything you do will cause a reaction. Remember you have a special gift that no one else, you do it perfectly and that is to be yourself. TNT Neck Training DVD is back. Master Series Neck Training Level 1 EBOOK Available. Be a real man and be owned by no one. Use your brain and think for yourself. Don't be led on a leash like a dog and told how to live by the retched mindset of society. Average is boring and I strive to be better than I was yesterday. I was born a male and I'm a testosterone driven man by choice. To think on our own we need to protect our brains and we do that by training our necks.